Contact us FIRST! We will assist you in starting your insurance claim. 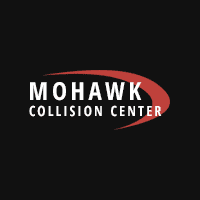 Our knowledgeable collision center staff has over 300 years combined experience working with all the insurance companies. NEVER drive a car that could be unsafe: (when in doubt have it towed). AC’s Towing (518-470-0343) provides towing services for us. Have it towed directly to 25 Saratoga Rd. Scotia NY 12302. Some insurance companies may want you to visit their drive-in claims center before having your car repaired. You can do this, but we recommend you leave your car at our shop and ask that the insurance company inspect the car with us. We will negotiate your claim with the insurance company. We will make rental car arrangements if needed. You have the right to go to the repair shop of your choice. Your insurance company CAN NOT require you to do to a particular shop. In most cases, we will be able to provide you with genuine OEM parts, ask for details. We offer a limited lifetime warranty, ask for details. Our paint manufacturer offers a lifetime warranty against paint defects. Our facility offers state of the art unibody measuring and repair equipment and certified technicians. Your car is the second largest investment you are likely to make. Preserve its value and your safety by having your vehicle repaired by our factory trained technicians and knowledgeable staff. We have years of experience working with insurance companies, and our rates are extremely competitive. So give us a call or stop by at our new location for a great quote on great service. To contact us you can contact us by Phone: 518-370-4911.